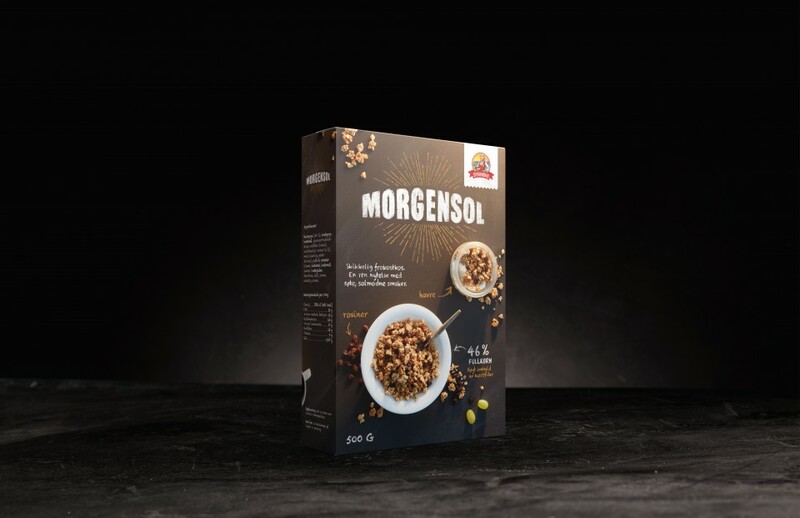 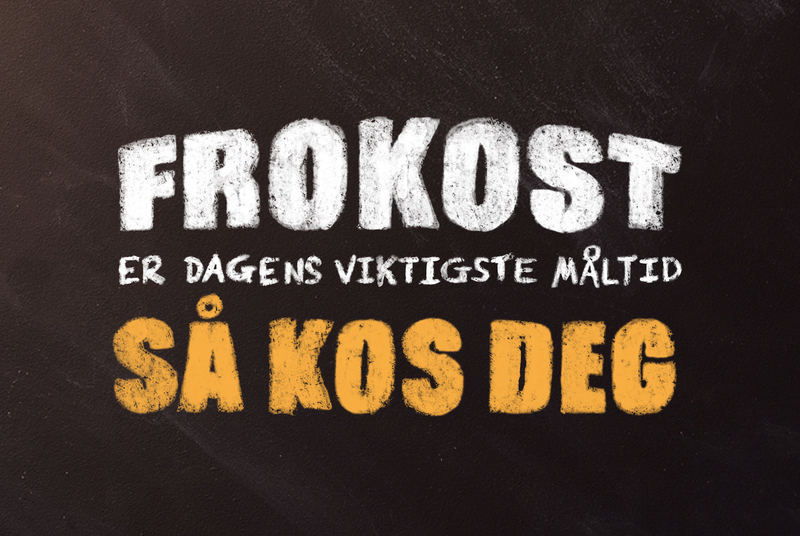 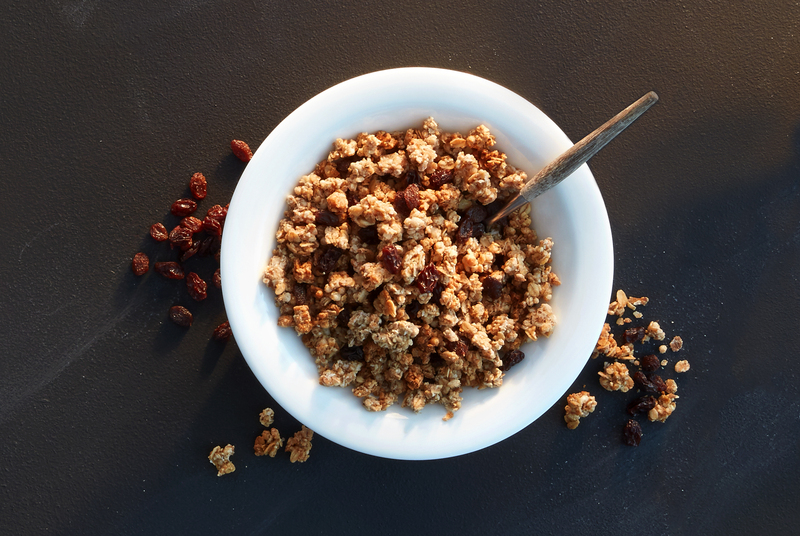 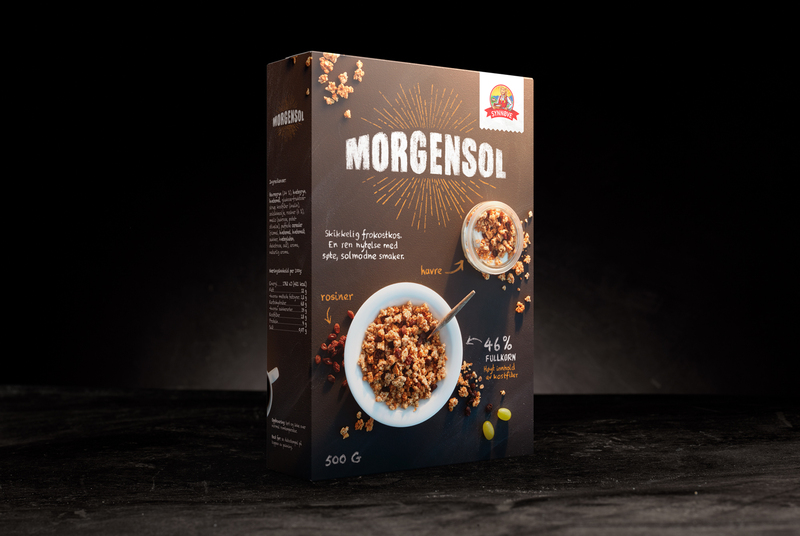 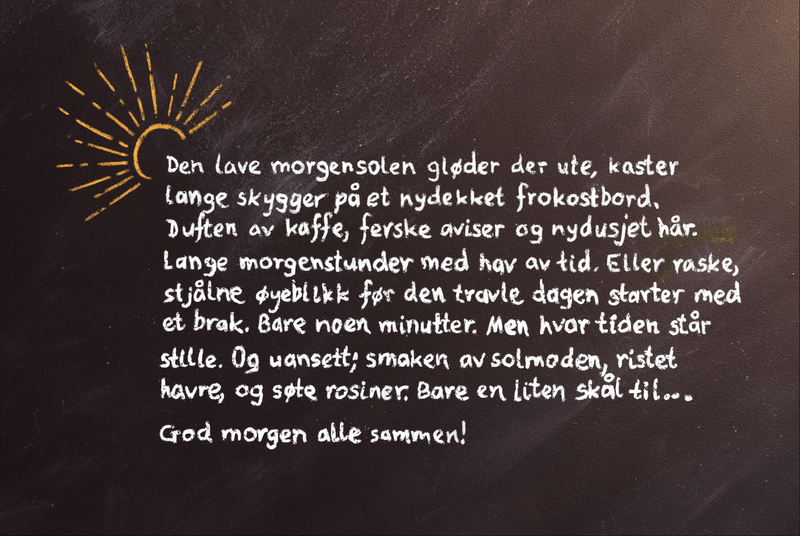 Morgensol (meaning “morning sun”) is a breakfast cereal all about taste; oats, honey and raisins in a perfect blend. 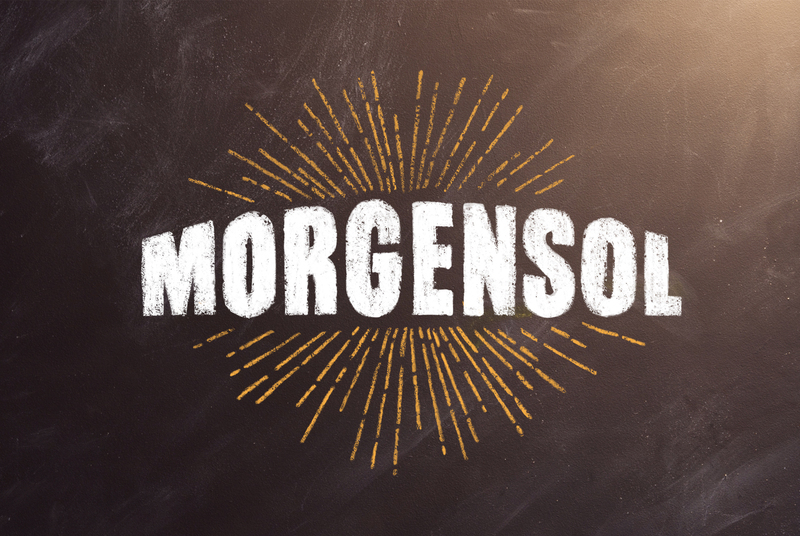 We created our design influenced by blackboards found in and around the kitchen, with recipes and notes, inspired by relaxed family breakfasts in the early morning sun. 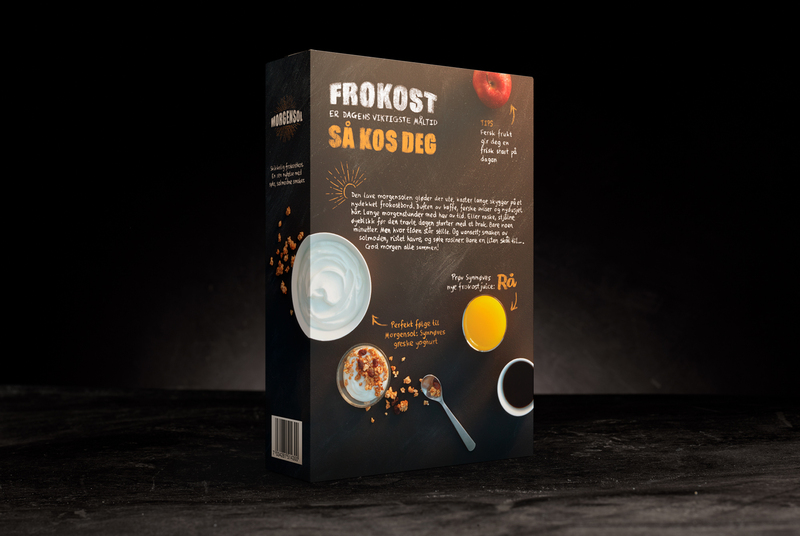 The whole design was made in one photoshoot, capturing the spirit of the sunny morning breakfast table.